Being a caregiver for a loved one is lonely. From morning til night, and often well beyond, caregivers are on call even when our loved ones demand we leave them alone. We become the bad guys. 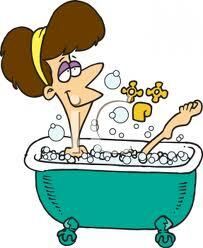 The woman or man who insists they bathe when they don’t want to and serve them food when they have no wish to eat. Our parents or our spouses resent being treated like children. Their losses are devastating and they resent being reminded of them. Days go by when they don’t say a word. Some can’t. Others were told long ago not to speak to strangers and that is who we have become. Knowing we are busy and often unable to leave the house our friends drift away. Not intentionally. It simply happens. They visit a few times only to find us distracted and harried, on constant alert for a call from our loved one or the sound of that horrible thump that signals another fall. Sometimes we cry and then refuse to follow well intentioned advice to take time for ourselves and get enough rest. We aren’t as much fun as we used to be. I get it. But still we need you. If only for a few minutes now and then we need you to come by and share a cup of coffee with us. We need a bit of adult conversation. 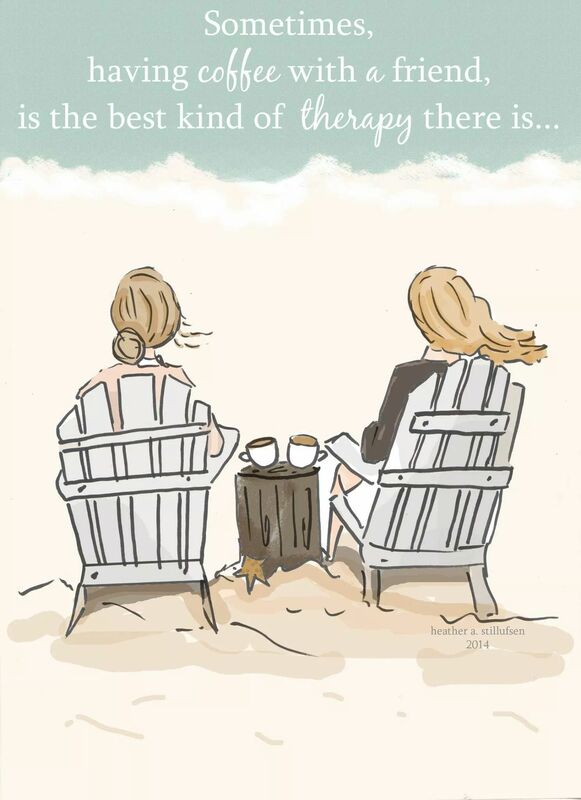 Having a friend say, “Tell me about it,” and then sit back and listen as we speak is a moment of respite we cherish. Please, even if you only have a few moments, be a friend to a caregiver today. Someone is waiting. I didn’t know how he would react but I was ready to try anything to brighten his day and relieve some of the stress we were both feeling. His daily walks were a thing of the past. His diet was severely restricted and either he wasn’t sleeping well or he was sleeping all the time. Mike and I discussed it and decided to contact some people we knew who trained therapy dogs and request a home a visit. We had heard stories of how people in nursing homes and hospitals would smile and begin to share stories about pets they had when the friendly animals came to visit. Nurses and staff members reported that patients were happier and more alert for hours, and in some cases days, after they dogs left. We felt it was worth a try. I wish I had a picture of that visit. I had let Rodger know he was going to have two visitors, one of them a dog. He was skeptical at first. Rodger rarely smiled but when a beautiful golden retriever slowly entered the room and sat at his feet he couldn’t help himself. After introducing herself and her dog, who was wearing a vest identifying him as a therapy dog, the volunteer sat quietly and allowed Rodger and Casey to get acquainted. Shortly after the smile appeared Rodger slowly leaned over and tentatively began to pet Casey. “Did you have a dog as a pet when you were a boy?” the volunteer asked. And then he began to talk. He spoke about life on the farm. For a while he went back to a time and place where he was able to walk outside in the sun and work up an appetite for homemade pasta and oven fresh bread. He sat up straighter and the light so rarely seen in his eyes made an appearance. I could feel my neck muscles relax as I watched the transformation. He may not have had a pet growing up, and to him dogs were meant to work, but what he didn’t seem to notice was that this one was working too. Casey was working a little bit of magic for both of us and for that I was grateful. It’s your turn again. 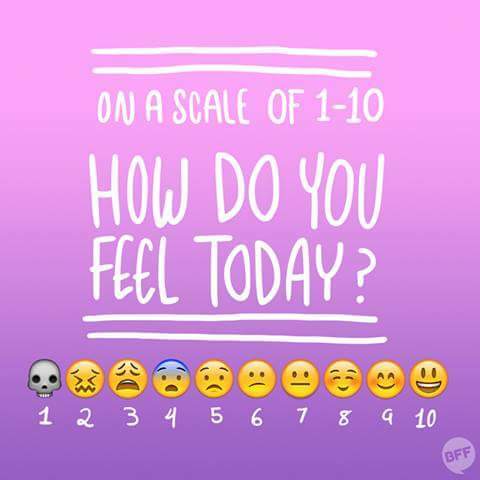 Please tell me how you are doing. If you’d like to share a bot of your story, please do. It may help another caregiver. There were days when I felt more like the mean girl than the patient saint some believe caregivers to be. I didn’t want to do it any more. I got mad. I hollered back when he shouted at me. 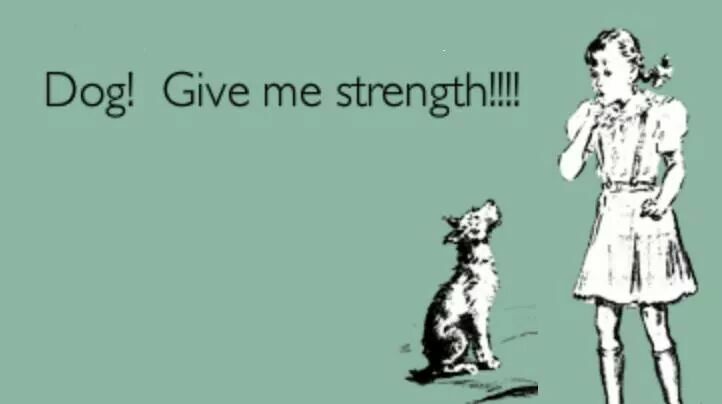 I regretted it the moment it happened but let’s be honest, this is what caregiving is like some days. I have to admit I never looked that good when going through it. 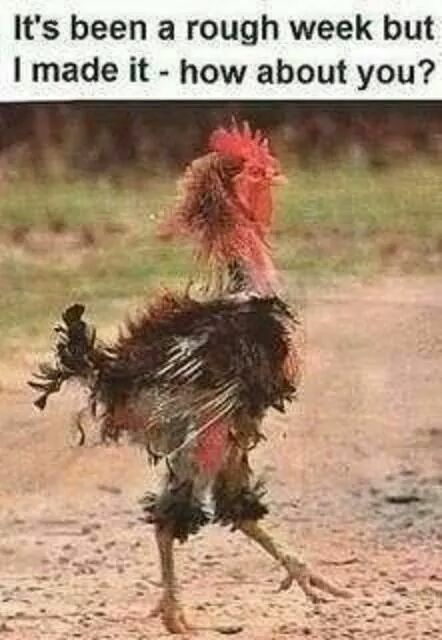 I more closely resembled the image below, right down to the scraggly plumage. But, I couldn’t resist posting this image. I love her attitude. It is critical that we address the realities of caregiving and not sugar coat it.We have to do everything we can to support the over 65,000,000 caregivers in this country and the millions more who will become caregivers very soon. November is National Caregivers Month. The President has issued a proclamation in support of caregivers. Caregiver conferences are being held across the country. It’s time to talk less and provide more help. Our legislators would do well to read caregiver support sites and hear from the caregivers themselves. Feel free to start by sending them a link to my blog. Walking along the street – do you see her? Can you tell who she is or what she may be hiding deep inside? Do her inner feelings show; her longings or desires? Do you know what she spends her time doing? She could be almost anyone you see in the park; at the mall; at the grocery store; walking beside you every day. She could be someone’s wife, mother, daughter, sister, maybe even grandmother. Actually, “she” could even be a “he”! 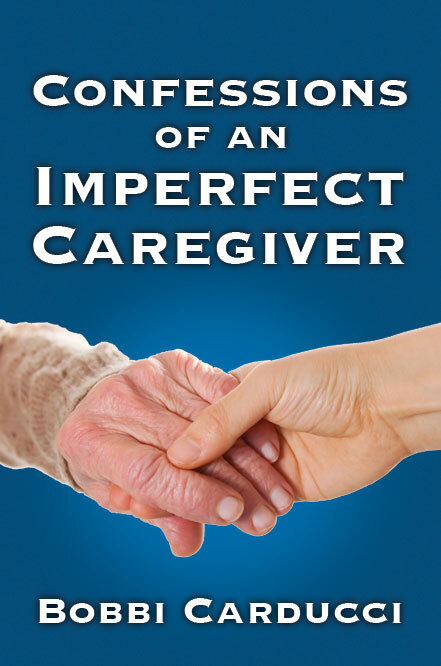 The face of a caregiver is that of any other person you may see. They have the same feelings and desires as you or anyone else. They spend their time caring for a loved one who is unable to care for themselves. Sometimes they don’t have any choice in caring for this loved one; and sometimes they aren’t even sure if they even love that loved one anymore! 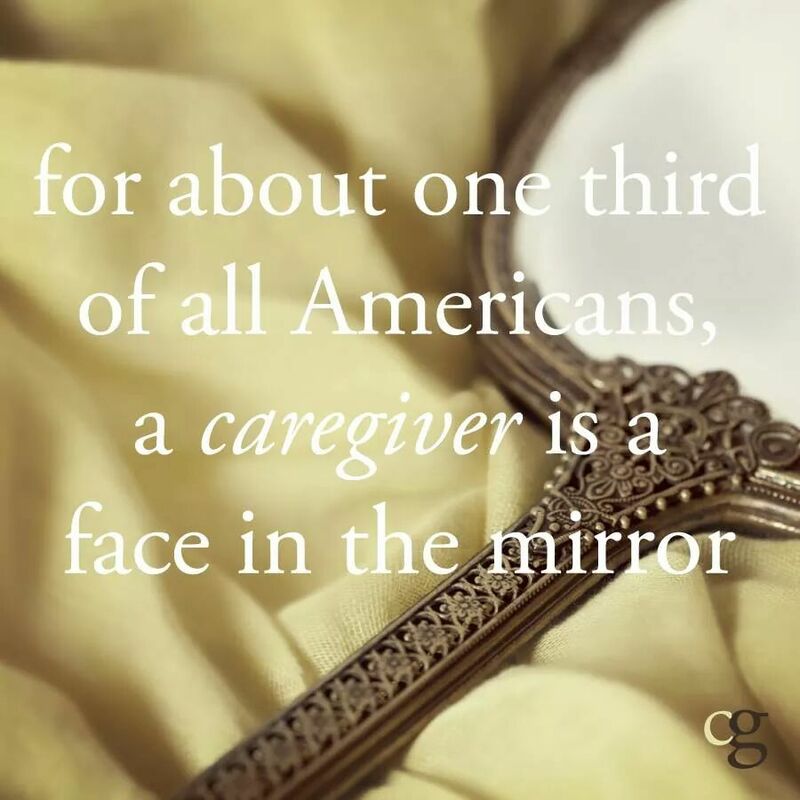 Many times the caregiver doesn’t even consider themselves a caregiver…which is where I found myself just a few months ago. These words from the Nicholas Sparks book “The Best of Me” could be written by me about the journey that I am on with my husband who has vascular dementia. We have been on this journey for quite a long time; yet I have just recently realized that I am a caregiver. And, there have certainly been times when I wished I could walk away from it all! My husband is still capable of handling many things on his own: dressing and bathing himself; eating/or feeding himself; warming up leftovers in the microwave; driving and getting where he need to go by himself; various other chores around the apartment. My husband’s dementia was caused by small strokes that damaged the memory portion of the brain; as far as we know, there have not been any more strokes and he has been somewhat stable since the diagnosis; but he is now getting worse. We have not had the same doctor for quite a number of years due to changes in insurance coverage and having to switch to different doctors. The doctor who was originally treating my husband is no longer in practice. So, there hasn’t been any consistent follow-up of the diagnosis. My husband’s personality has sometimes been a little abusive (verbally and mentally) and I was not able, at first, to decide if it was personality or the dementia that was causing these outbursts. Yet, there are things that my husband is unable to do: cook a decent meal (using the stove rather than the microwave); make a budget and buy nutritious foods and items needed rather than snacks and munchies; handle the checkbook and finances; make doctor’s appointments; order prescription refills and setting up his daily doses of medications. In addition to the above reasons, my husband is good at hiding his hearing problem – he just nods his head in agreement, or assumes he knows what has been said. And he is even better at covering up his forgetfulness; he just repeats the same questions multiple times if he is unsure or has forgotten. In the beginning, I just didn’t realize he was covering up. Recently, I participated in the write31days.com challenge to write on a particular topic for the 31 days of October. I shared the journey with my husband’s dementia using the title “Dementia’s Demands”. During this time I was encouraged and supported by a wonderful group of bloggers who were also participating in the challenge; many, as I later learned by reading their blogs, were also on a journey with dementia, cancer, depression, and many other difficulties. Many were, in one form or another, a caregiver. Yet, looking at their pictures – they didn’t look much different than I or anyone else! As the days of that month continued, I discovered that – yes! – I am a caregiver! I “care for” someone who is unable, in many ways, to care for themselves. This, in itself, makes me a caregiver. Are you struggling with that identity? Think about it…you may well be one, too! The face in the mirror evolved as you did. When you came to live with us I gazed on eyes full of hope. In my care you would do well. When you needed anything, I would provide it. We would share our stories and laugh or cry when feelings overcame us in the telling. For a time we did well. The face in the mirror reflected worry lines etched deep into my forehead. What was I doing wrong? Day by day, month by month, you slipped away. Would you know me today? When your memory left me behind, where did you go? And when, if ever, would you be back? Eyes rimmed in black stared back at me. No sleep. Constant stress. You needed all I had to give and more. What we were to do, the two of us? We were at cross purposes fighting the same battle. You were determined I would not win. Every night I cried. The face in the mirror is forever changed. In your living and your passing you left your mark on me. All the fear and loss, hope, love and laughter are reflected in my eyes. Every night I pray for you and hope you do the same for me. It is also a time to support the men and women who are currently caring for a loved one at home. You may have offered to help many times only to be thanked politely for the thought and never taken up on your offer. Some of you may have started to wonder if she really wants help. Maybe she prefers to play the martyr and do it all herself and whine about how hard it is in order to make you feel guilty. “Why should I keep offering if that’s the way it’s going to be?” you may have asked yourself. The answer is, “Because she needs help. She wants help. If she doesn’t get help she is going to break under the pressure.” Often she doesn’t know what to ask for. “Of course,” was the answer, and they meant it. I didn’t know then that going out to dinner or taking a vacation would not be what I would come to need most. As my father-in-law’s illnesses progressed what I longed for was an hour to take a long hot shower or to soak in tub of water up to my chin until my fingers and toes turned pruney. I’d have done just about anything to stop listening for signs he was in distress or that he somehow knew I wasn’t paying attention and had decided to go down the stairs unattended, risking a fall. Even an uninterrupted ten minutes on the toilet would have been a gift on some days. I remember one morning in particular. He’d had his breakfast and I had helped him wash and dress. I’d seen to it he had his medications and the TV was tuned to his favorite show. He should have been good for at least thirty minutes. I was about to start a load of laundry when my I felt the sudden urge to pee. I had just settled on the toilet when I heard him calling. He sounded so frantic I was afraid of what I would discover when I got to him. I jumped up in mid stream, pulled my pants up, and ran up the stairs. “What’s wrong?” I asked, ignoring the warmth running down my leg. I bit my tongue, fixed the TV, and went to my room for a quick wash up and change of clothes. Clearly it was going to be one of those days. If anyone had asked what I needed that day the answer would have been quick and easy. November is National Caregivers Month. The gift of time is precious for those for whom every moment counts. When wondering what you can do to help, consider stopping by a caregiver’s home someday. Maybe she’s wishing for a bath too. The anger ebbed and flowed. The first time it hit me, right after Rodger returned home from an extensive stay in the hospital, I thought I was losing my mind. I’d just spent months watching his mental health deteriorate as unbeknownst to me he’d been “cheeking” the medication for his paranoid schizophrenia and spitting them into the toilet once he got out of my sight. His medication had been adjusted up and then down, brands were changed and consultations scheduled over and over again. Then it happened. One sunny Sunday afternoon he lost his mind. Accusing me of trying to poison him; he ran down the street, moving at a pace that would normally be impossible for a man nearing 80 years old. “She’s trying to kill me!” He insisted, shaking with fear whenever I got too close. He spent eight weeks in the psychiatric ward that time. Discharged on a Friday afternoon he was back in the hospital Sunday evening. He had pneumonia. They had sent him home sick. After a week in ICU he was finally well enough to go into a medical ward. He’d also developed swallowing problems somewhere along the line. He had to have his food pureed and his drinks thickened. He refused to eat slowly and take small bites as the doctor ordered. As soon as his tray arrived he’d grab a spoon and start shoveling the food into his mouth as fast as he could and then he’d choke. So a nurse fed him each morning and I made sure I was there for lunch and supper. Three weeks later he was finally well enough to go home. Once there he seemed determined to start the dance all over again. “I can take my medicine myself,” he declared almost immediately upon returning home. The anger reared its ugly head for the first time as I contemplated the downward spiral that would inevitably ensue if he were allowed to have his way. I tried to pretend it wasn’t there but each time he tried to convince me to give him his pills it grew stronger. I was royally ticked off that he would even try to manipulate me again. I knew he would again lie and insist he was taking his medication when he wasn’t. I was furious that he would subject me and his son to sleepless nights and hours of driving to and from the hospital to assure he received proper care. I resented that he seemed to think he was smarter than me. There were moments when I had to walk away as soon as he entered the room. I didn’t even want to look at him. I was racked with guilt and questioned my basic humanity. How could I possibly be angry with this sick old man? The guilt was overwhelming at times. I prayed, I vented in the car when I went to the grocery store and cried a lot. I finally got some relief when I admitted my feelings to my husband. Mike assured me that it was normal to feel the way I did; that the job I’d taken on was harder than anyone could imagine and what I was feeling was normal. I had nothing to feel guilty about. He took a couple of days off from work and encouraged me to get out of the house. “Go see a movie. Get a massage. Pamper yourself,” he whispered as I cried on his shoulder, relief mixing with the overwhelming sadness that I finally allowed to engulf me. I couldn’t concentrate on the movie. I spent the entire time in the theater trying to figure out what was wrong with me. I passed on the massage. I don’t like strangers touching me. But I did go to the gym. An hour of aerobics helped ease the tension from my shoulders and neck. It felt good to sweat and push myself again. The next day I went for a run on the treadmill. It was there that it all came together for me. I found myself nodding my head in agreement and moments later I began to feel better. I was able to go home refreshed and take care of Rodger again. It’s not a cure-all. The anger and resentment still came back sometimes when he was acting out. And I’d even gone so far as to tell God he had better get busy as I’d let go a while ago and he didn’t seem to be doing anything to help at that time. But finally recognized it for what it is. Rodger was doing the best he could with a mind that was failing in spite of all the love and care and medication he was getting. And I was doing the best I could in spite of all my weaknesses and doubts. And God? He was there running alongside me on the treadmill, reminding me to take care of myself too. So this is my reminder to you. Take care of yourself as well as you take care of your loved one. Go to a movie, get a massage, pray, get some exercise, sing at the top of your lungs, sob in your best friends arms, whatever it takes – do it.